Are you lost at a local Japanese grocery store? Have you seen some vegetables that you have no idea how to cook? Do you simply want to learn Japanese home cooking? This small-sized, one-day cooking class will help you solve some of your culinary challenges in Tokyo. You will also learn where to buy certain ingredients and get your pantry ready for basic Japanese cooking. Our class is held at Junko's kitchen in Roppongi at a homey and comfortable environment. All the classes are taught in English and are very hands-on. This is a very basic Japanese cooking class. Using local ingredients, you will be introduced to traditional Japanese home meals and learn how to use 3 most basic ingredients for Japanese cooking: Rice, Miso, and Soy Sauce. - Rice Ball (Onigiri) - Yes, you can make a perfect triangle onigiri without using a mold! - Maki Sushi (vegetarian rolls) - Great for a party! Using both dried and fresh noodles, you will learn how to make traditional udon and soba noodles with warm and cold sauce. You will also be introduced to a modern take on soba noodles as a salad or appetizer. 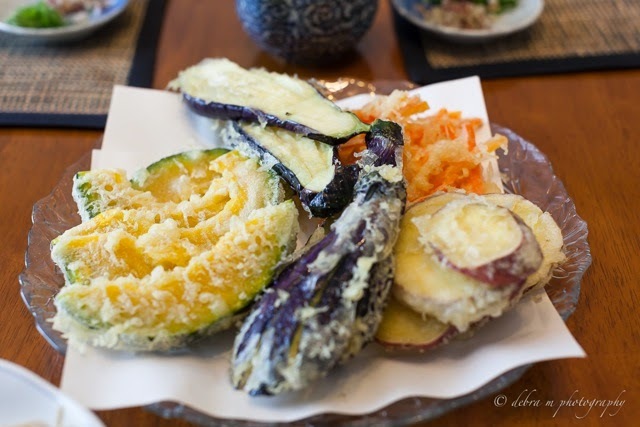 You will be introduced to some traditional Japanese dishes using many types of local vegetables. This is not a vegetarian class but I will include some vegetarian recipes. This is a very basic Japanese cooking class. Using local ingredients, you will be introduced to traditional Japanese home meals such as rice ball (onigiri), maki roll, miso soup, and other meat and vegetable dishes. A Happy New Year from Tokyo! It has been a while since the last time I spent the New Year's in Japan. While I lived away from Japan, New Year's day was the day I missed the most. Every corner of office buildings and homes, you will see the New Year's decoration. Things I missed the most about the New Year's in Japan was "Osechi," a special meal prepared only for the New Year's. Your first day of the year starts with drinking herbed sake called "Toso" followed by "Osechi" meal. 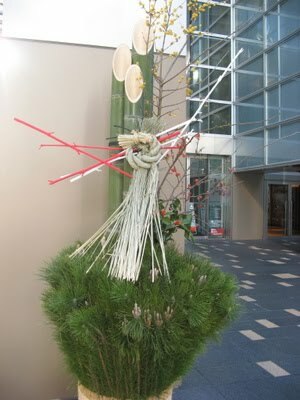 It is a very quiet day in Japan and many business will be closed until the 4th or 5th day of January. As getting together with your families and visiting shrine dressed in a traditional kimono are very common ways to spend your New Year's break, we followed the tradition this year by having gathered with my side of the families and visited a shrine in our neighborhood, Azabujyuban.